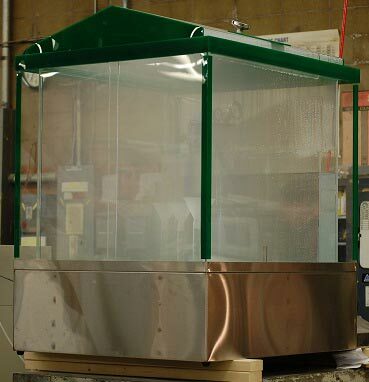 Our MX-04 model is a salt spray test chamber with a 3.375 cubic feet (95.569 liters) working volume, and external dimensions of 40.5"W x 26.5"D x 30.5"H (1028.7W x 673.1D x 774.7H mm), with integral temperature control, holding the internal workspace at 35°C (95°F). AES salt spray test chambers maintain two very precise temperatures during operation which is crucial for consistent salt spray concentration and test item cover. 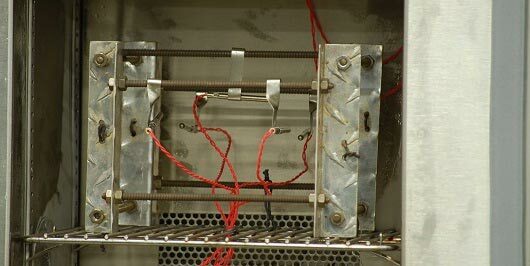 The internal testing area is held at 95°F (35ºC) while the external compartment is held at 177°F (80.5ºC). 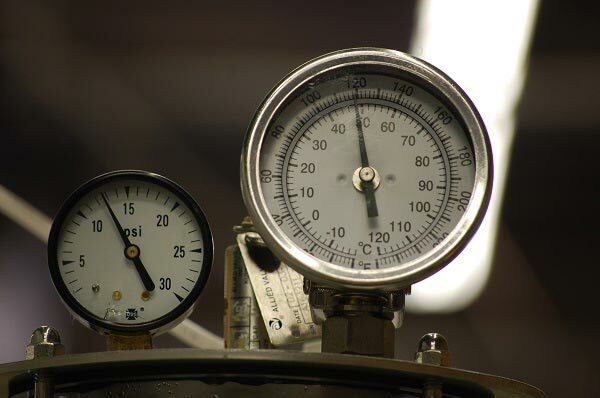 Working Volume is defined as one-tenth the measure of each axis toward the center of the test chamber. These minimum measurements are size dependent and define the volume within the test chamber exposed to high precision temperature uniformity. Temperature uniformity is made up of two averages, labeled the temperature variation in space and temperature gradient. 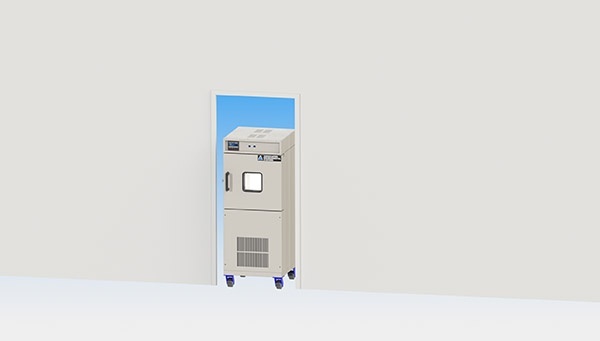 Temperature variation in space is the average difference between the operating temperature in the middle of the test chamber versus multiple other discretionary points around the chamber. Temperature gradient refers to the average difference in operating temperatures between those discretionary points around the test chamber. 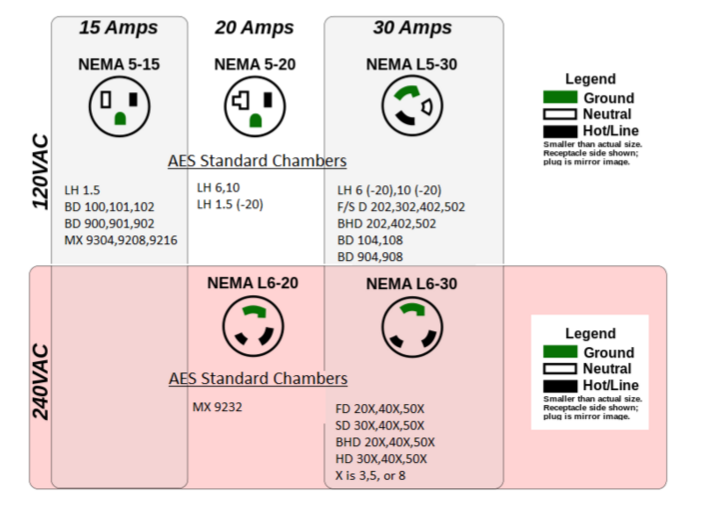 AES ensures your devices will be tested with uniform, reliable and repeatable environmental conditions. We supply salt spray test chambers with an atomizing nozzle which can be used to test to the MIL-STD-19500B 40.8 specification. 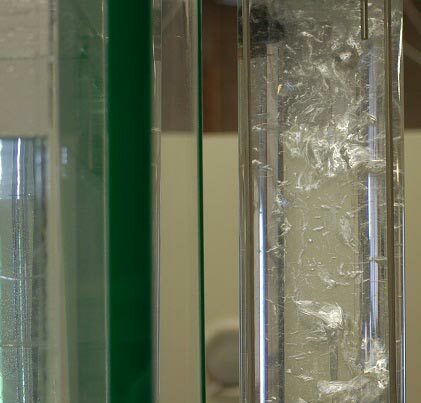 The atomizing nozzle insures the salt solution is introduced into the test environment evenly and at the proper concentration. Our salt spray test chambers feature a high reliability thermostatic temperature controller that maintains the salt solution at a preset temperature in a reservoir within a double wall construction. The salt solution is introduced into the test chamber through an atomizing nozzle which can be calibrated by AES to perform to MIL-STD-19500B, paragraph 40.8 and other specifications. 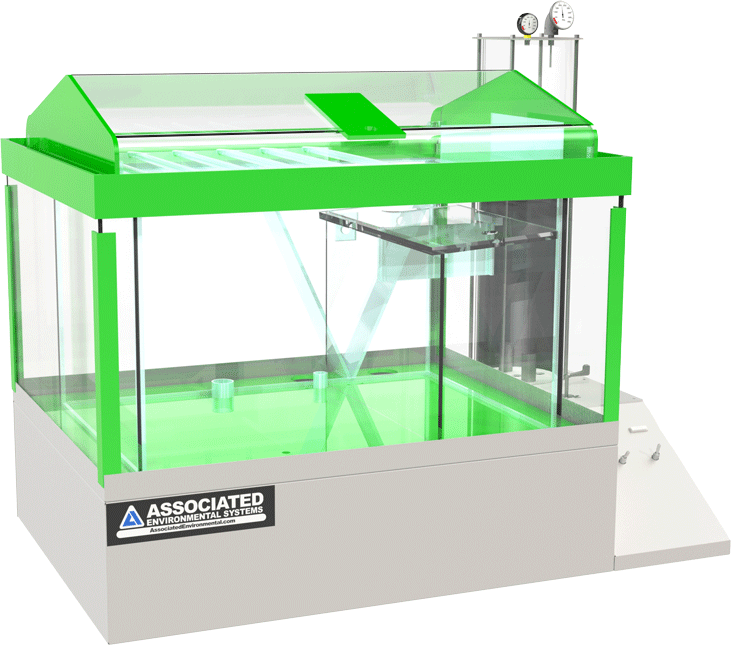 MX salt spray test chambers feature a transparent Lucite body that is impervious to corrosion while also providing continuous direct visual observation of the test item. AES is proud to offer the only clear sided salt spray test chamber on the market! This model CAN fit through a standard 34" wide doorway. Casters and floor stands may be applied to any test chamber series except walk-ins, on request, to optimize transportation.